It’s the time of the year when you’re excited in anticipation about seeing colored faces, hearing funny memes, music flowing in the air and everything festive. You must be celebrating the Holi festival the traditional way every year but have you given a thought to witnessing and experiencing the uniqueness of this festival where it’s actually unique? If not, this Holi is your opportunity (especially with the long weekend with it) and we are here to help you decide where you should go to experience a never-before bliss. 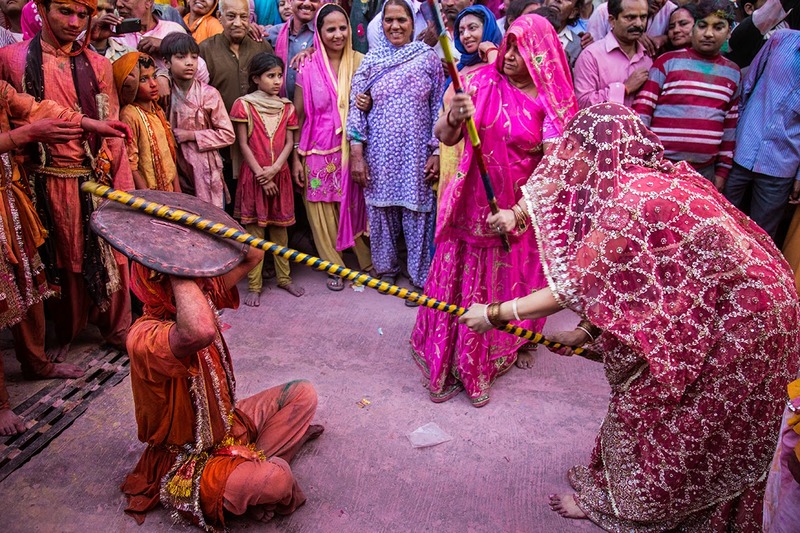 Filled with the colors of devotion, the Holi at Mathura and Vrindavan attracts people from everywhere. It presents a unique blend of fun, joy and devotion. Whereas you hear local folks in Brijbhasha for Holi, you hear chants of ‘Radhe Radhe’, and ‘Radhe Krishna’ everywhere around you. Go and immerse yourself in an unforgettable ensemble of colors, music, devotion and lovely people around you at Mathura and Vrindavan. If you have ever heard of Lathmar Holi, you already know about the excitement that awaits you at Barsana. This celebration is unique in the way it is celebrated. Women chase men having sticks in their hands while men can protect themselves with shields, all in a fun-filled, color-filled environment. The festival runs for two days, offering more than an eyeful of joy throughout the way. What can a nicer way to remember Gurui Ji Rabindranath Tagore than to celebrate the Holi festival, also known as, Basanta Utsav, at Shantiniketan, West Bengal! 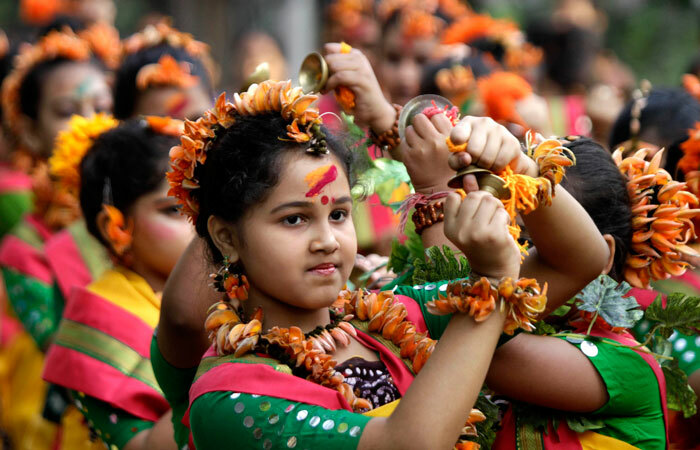 Uniqueness of this celebration is marked by the students of Shantiniketan dressing up in yellow and performing several cultural activities, including fold dances, plays etc. It attracts a large number of tourists from everywhere and just leaves them awestruck. A Holi celebration at a Goan beach! Doesn’t that ring several bells in your mind and makes you image a party scene filled with colors flowing in the surrounding air? Yes, that’s the right imagination except that imaginations will be exceeded by the reality once you reach Goa during Holi. So, plan your travel now because Holi is almost there. Use www.ahataxis to book a taxi! 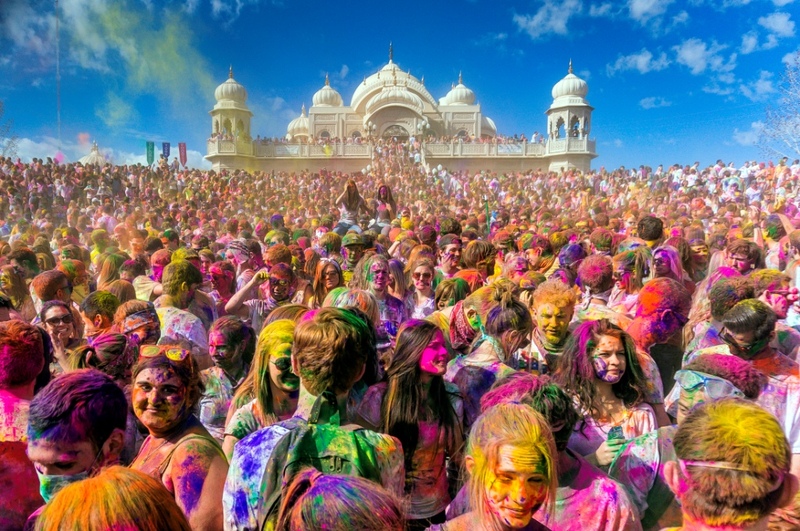 Really these are best places of holi celebration in India as there are some historical memories of holi related to these places and people of these locations celebrate holy with their lot of devotions and enjoyment. We also wish Happy Holi to all the peoples of India. To enjoy heart touching and popuar holi songs visit http://bhangrahits.com. Previous Post Happy Women’s Day to You!